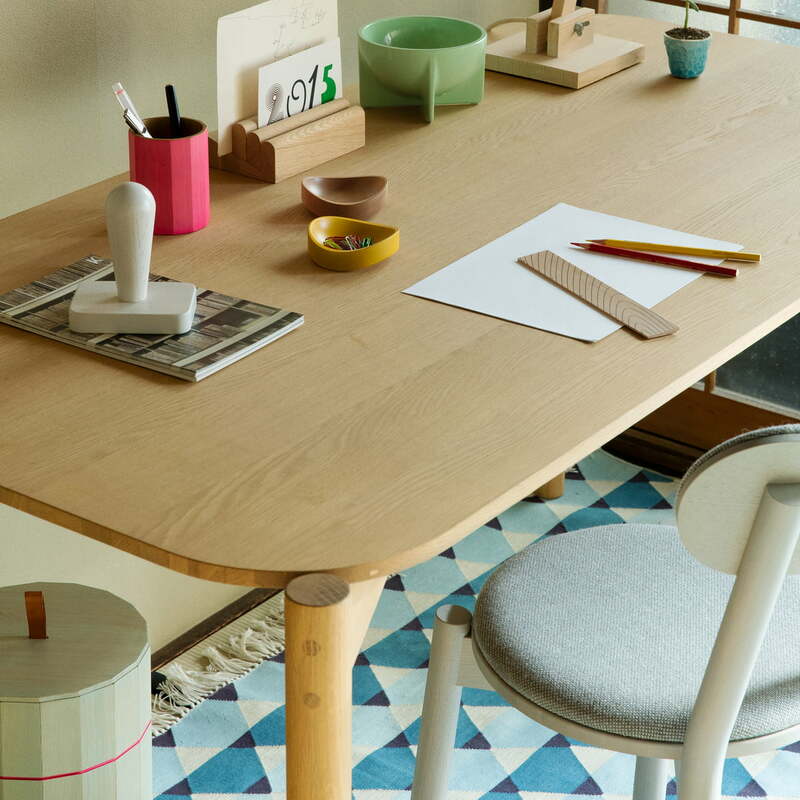 The Castor table is another member of the Castor series by Karimoku New Standard, which is characterised by essential objects made of solid wood in a timeless design. 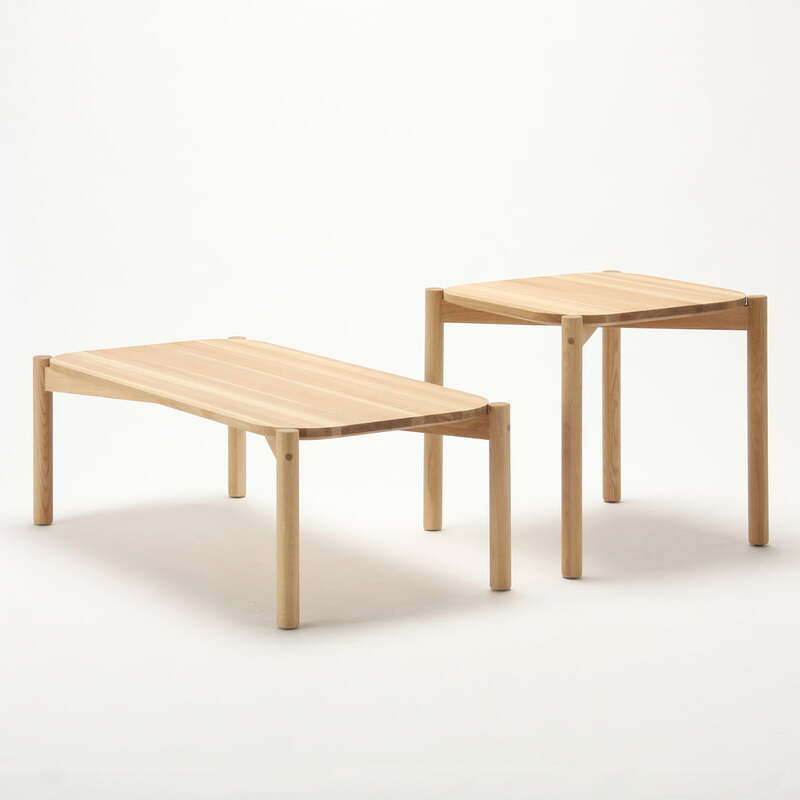 Designed by the Design Studio Big-Game, the Castor table fits perfectly in the style of the series, and features an elegant, seemingly simple exterior that adapts to every furnishing style. 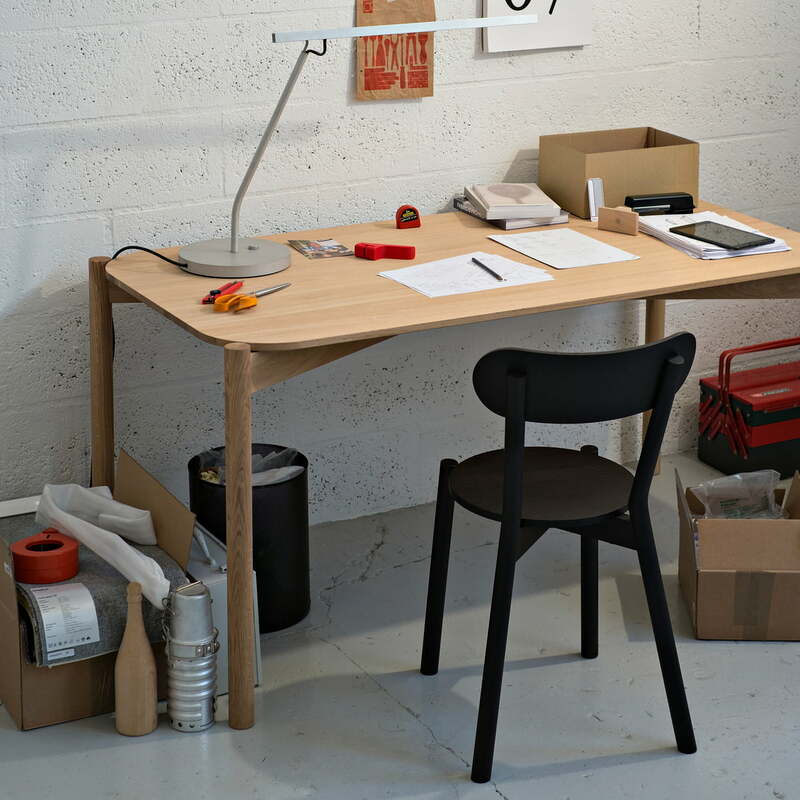 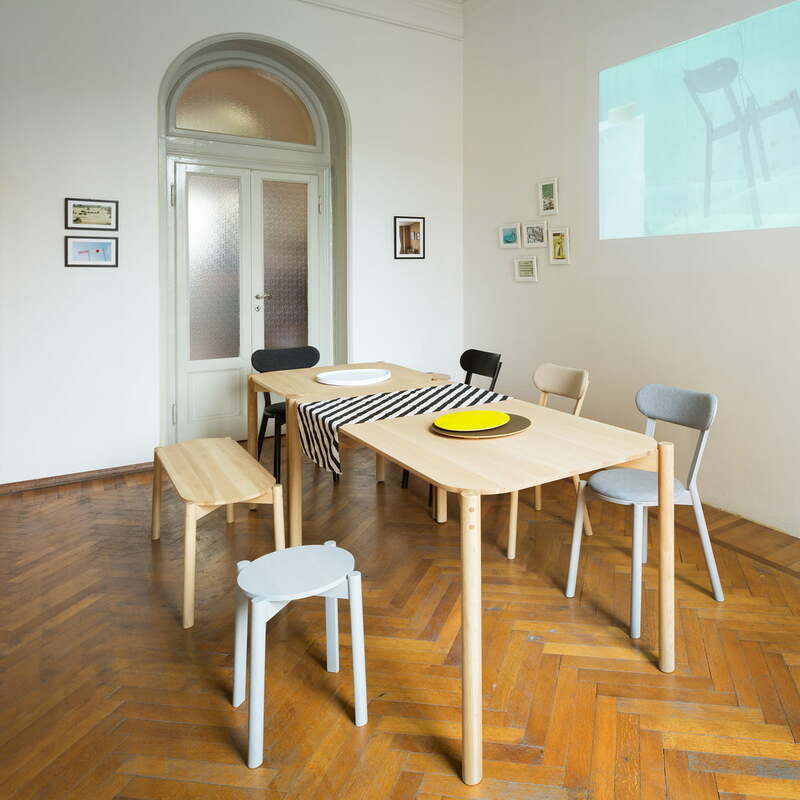 Reduced to the essential, the Castor table features fine details, high quality and diligent processing. 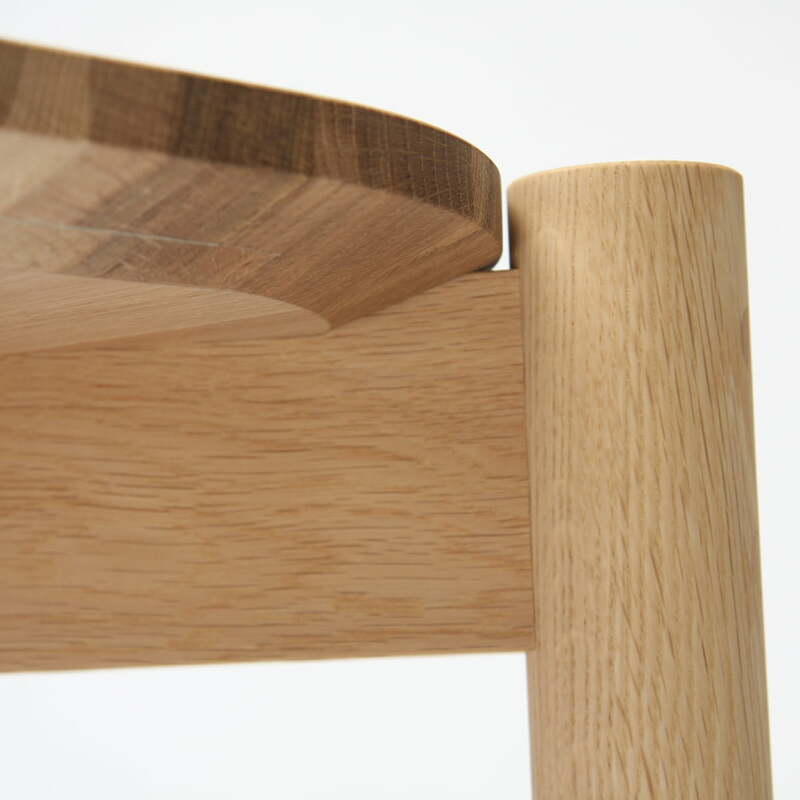 The rounded corners and rod-shaped legs, which are pulled up to the top, provide soft contours and harmonic proportions. 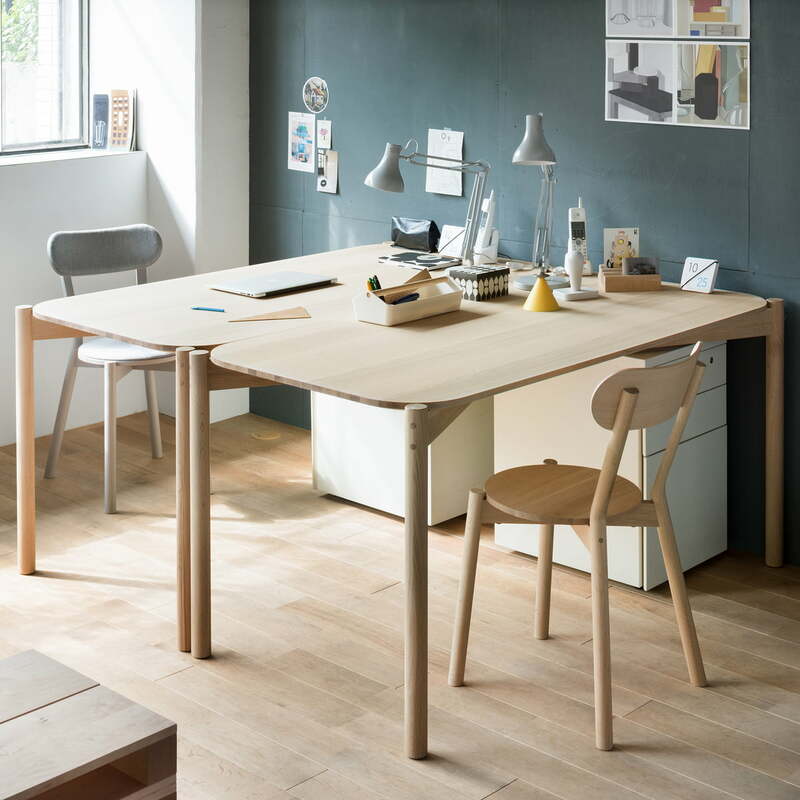 Together with the Castor Chair an ideal combination is created that acts as a workplace, or in the kitchen at home as modern dining area. 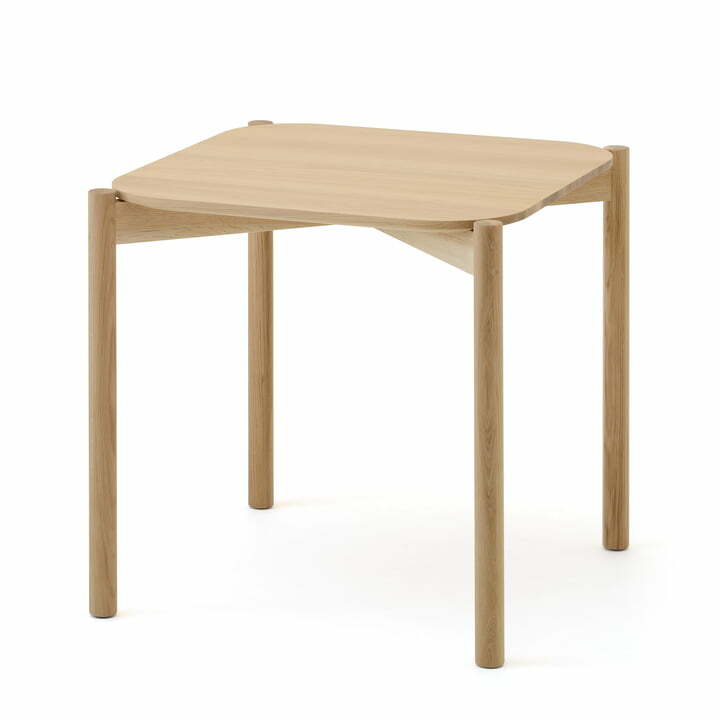 The solid oak dining table is available in two different sizes as small square version for 2 people or as a larger version for 4-6 persons. 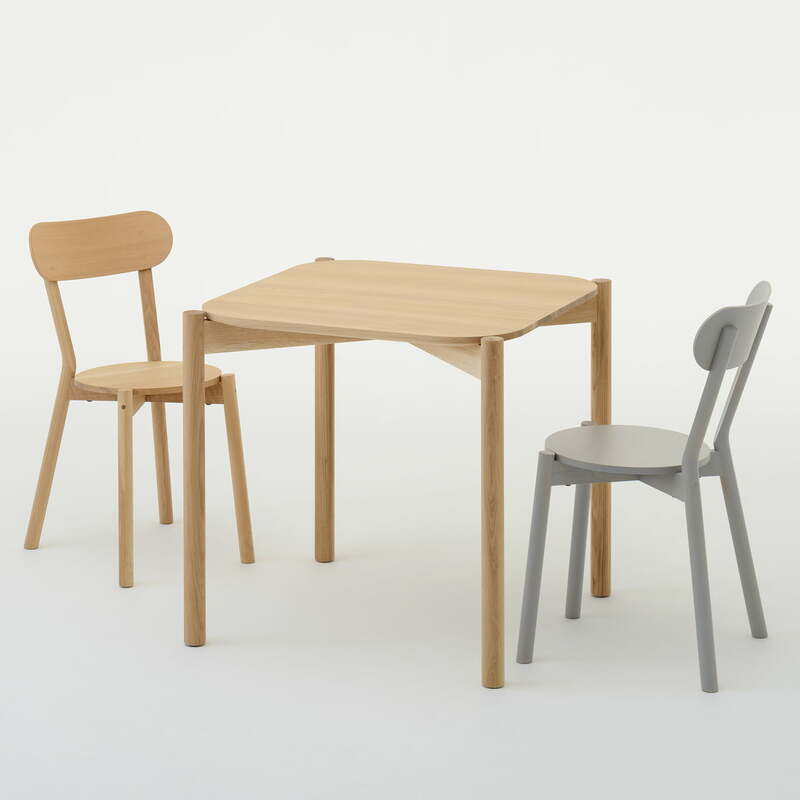 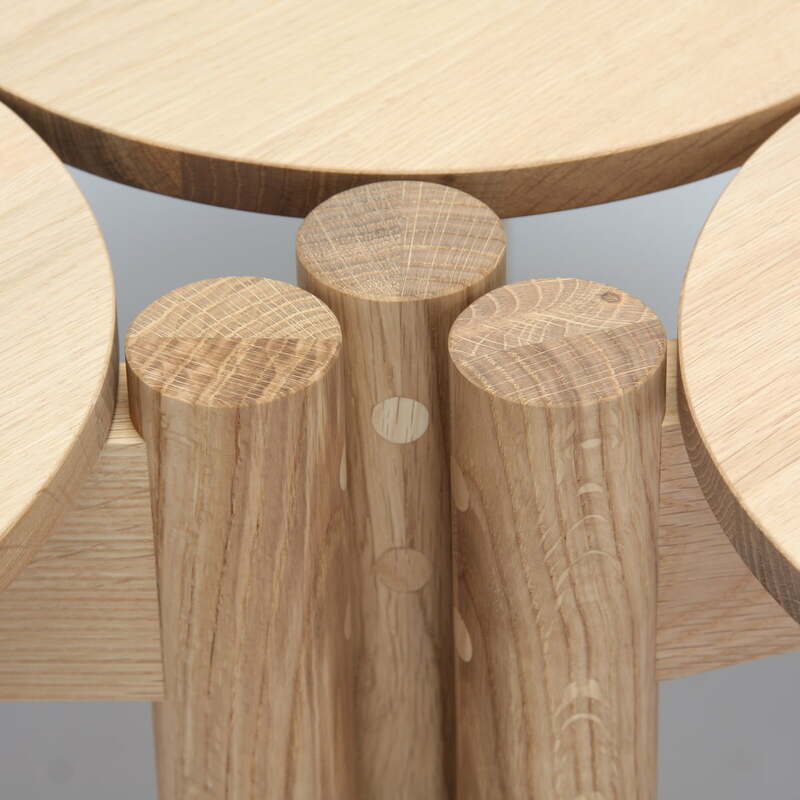 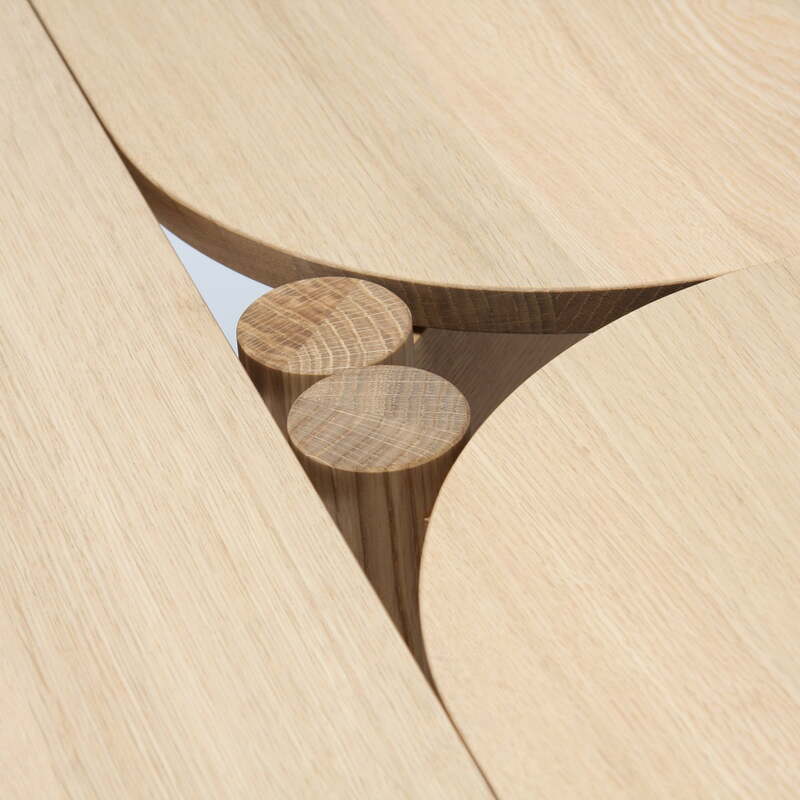 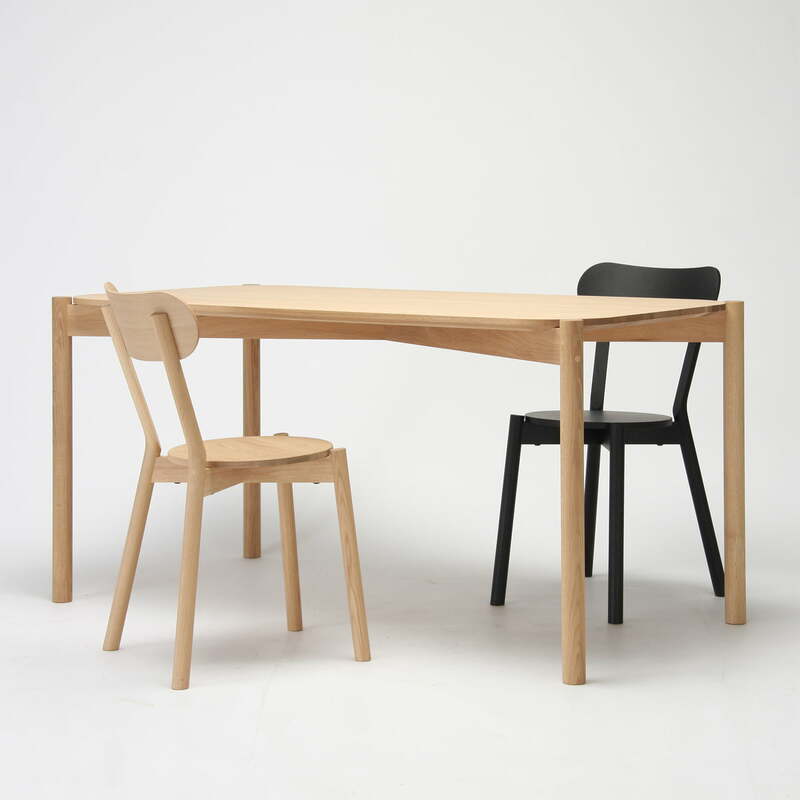 Individual image of the Karimoku New Standard - Castor Table. 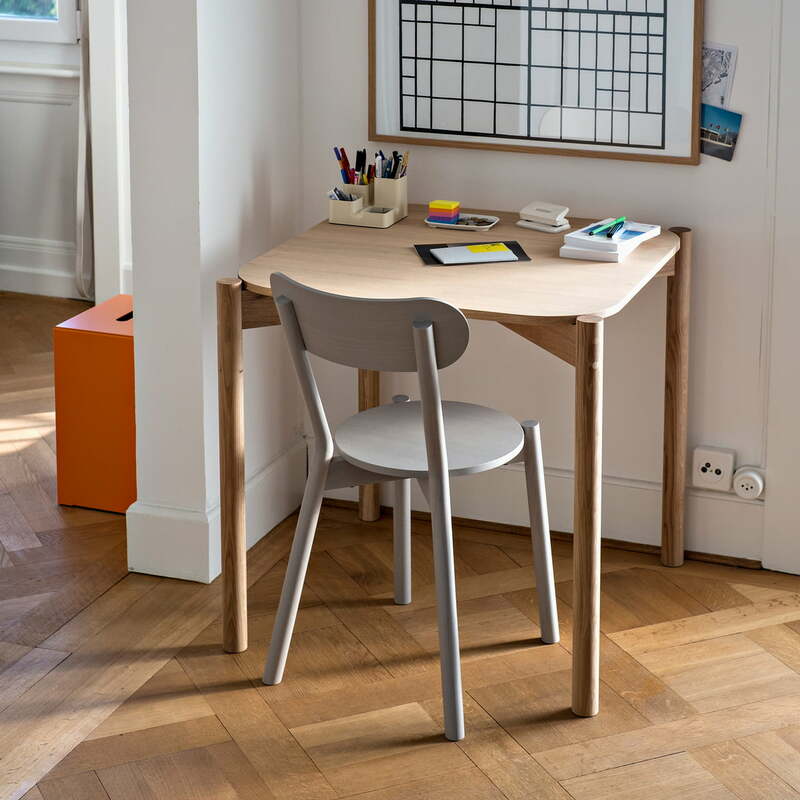 With simple forms, the Big-Game designer team has created a timeless design that fits into any interior style.